JAMES T. JOINER is married to Judy S. Joiner and they have two sons, Travis S. Joiner and William T. Joiner. Judy is a retired teacher who taught at Winter Haven High School for over 30 years. She taught German, Advance Placement European History, AP World History and AP American History. James T. Joiner has been practicing law in Polk County Florida since 1972. After graduating from Samford University (B.A., History, 1969) he received his Juris Doctorate from the University of Florida in 1972. 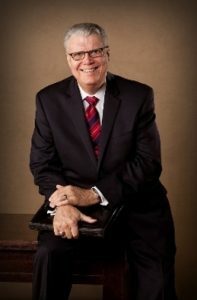 In 1974 he formed James T. Joiner, P.A. The firm is a full service Elder Law firm, specializing in Wills, Trusts, Probates, Guardianship, Medicaid Qualification, etc. Additionally the firm handles Adoptions. Our goal is to provide fast, accurate and competent service to our clients in dealing with aging issues, such as Wills and Estate Planning, Medicaid Qualification, Guardianships and alternatives to Guardianship, such as Powers of Attorney and Living Wills, etc. The firm works to accomplish probating of estates in a speedy manner, so that the probate is properly managed and the assets turned over to the beneficiaries as quickly as possible. The firm also provides experienced, confidential adoption services both for the biological mother and the adopting family. James Joiner has been involved with Guardianship practice for over 30 years, and has gone into it as a major part of his practice for 25 years. He helps families take care of their loved ones in the least restrictive environment possible. If all other avenues of care have been exhausted, he will petition the Court for a determination of competency and if the party is not competent, he will proceed to get a permanent guardian appointed and advise the guardian on the legal ramifications and requirements are for maintaining the guardianship. This usually involves an annual report and annual accounting and a report by a physician that the party is still incompetent and in need of a guardianship. Mr. Joiner has represented numerous guardians and has been a guardian himself. He can give both legal and practical advice to the family and the guardian on making their loved one’s life better and safer. He has worked with nursing homes, assisted living facilities, investment houses, brokerages, banks and others to make sure that the incompetent person is properly cared for and their assets are protected to help care for them in the best possible circumstances. While the normal guardianship process can take up to 90 days to be completed, an Emergency Temporary Guardianship can be established, sometimes within a week or two to protect the incompetent person until a full determination can be made. James Joiner aids families in maintaining assets for parents or relatives who have to get nursing home or assisted living care. Medicaid allows certain assets to be kept by patients and still qualify for Medicaid. Additionally, they allow certain payments to relatives for care provided to the patient both before and after going into a structured living arrangement. Medicaid allows certain trusts (Qualified Income Trusts and Special Needs Trusts) that allow the patient to keep some assets to help them during their lives and provide for the patient while they live under Medicaid. Cindy Roberts has her Paralegal Certification and has worked with JAMES T. JOINER, PA as a paralegal and secretary since May of 2000. Cindy worked in banking for 25 years. She advanced to the position of Senior Vice President/Cashier and was in charge of all areas of Barnett Bank (now Bank of America) with the exception of the lending area. She then received her Human Resource Certification and went to work as Senior Vice President/Human Resource Officer for Winter Haven Hospital where she was also in charge of evaluations/appraisals for all hospital employees. Mrs. Roberts helps with all aspects of the practice and she keeps the office running and everything up to date with filings. Cindy is used to deadlines and filing dates and keeps the guardianships and probates up to date so that our clients are not late with any of the paperwork necessary to get their case through the court process as quickly as possible. Most times Cindy is files paperwork well before the due date so the probate will be completed, or the Guardian will not have to worry about a delinquency letter from the Clerk of Courts. The Clerks in the Probate Office have informed Mr. Joiner that Cindy has kept our filings so up to date that we have the lowest delinquency rate of any attorney firm in the County. 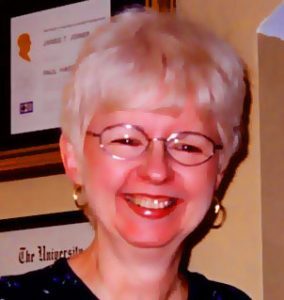 Cindy Roberts has children and grandchildren and is very sensitive to the needs of our clients involved in adoptions. She has a compassionate ear for the biological mothers and is able to help them through the adoption process. She has the experience and understanding to deal with their problems and provide practical solutions to the dilemmas which arise during the adoption process. She is also able to listen and provide level headed responses to the concerns and questions of the adopting families who we represent, while she keeps close eye on the money being spent on their behalf. In a small office such as ours, it is important that someone be able to handle many functions, and Cindy’s background and wide range of experience has made her perfect for this job. Client response to her has been very positive and her ability to work with people and to translate the information she is given into the necessary forms and pleadings is a big contribution of maintaining good, solid work product that is accepted by the Courts and makes the case go smoothly to a conclusion.